When you are supposed to go to a formal wedding out of town, you cannot travel empty-handed. Aside from your gown, you need to bring your high heels, makeup and jewelries. Even though it is not your own matrimony, you want to look awesome in the pictures which are surely going to be taken in the event. If you do not want to part with your professional makeup kit that is complete with its own lighting, you should be able to do without your large box of jewels. Apart from that’s an extra unneeded baggage, you cannot really wear all of those accessories, can you? Therefore, you just have to place the necklace, earrings and bracelet you have chosen for the occasion in this jewelry case from Anne Klein. It is a gift with purchase, mind you. Space-Efficient. The customized jewelry case is not bulky, so it won’t be bad to put it inside your purse. This is another way for you to make sure that your golds and silvers are safe. Inconspicuous. Everyone knows for certain what is in a jewelry box, that’s why it is more prone to being stolen. However, this promo gift takes after a long envelope or a wedding invitation. It is not recommended, but even if you try to leave it on the table, no one will try to steal it. High-Quality. You know by the looks of this gift with purchase that it is high-quality. It has a velvety feel to it. Inside, you can zip your accessories to keep them from falling out. Anne Klein’s logo at the front adds to its charisma. 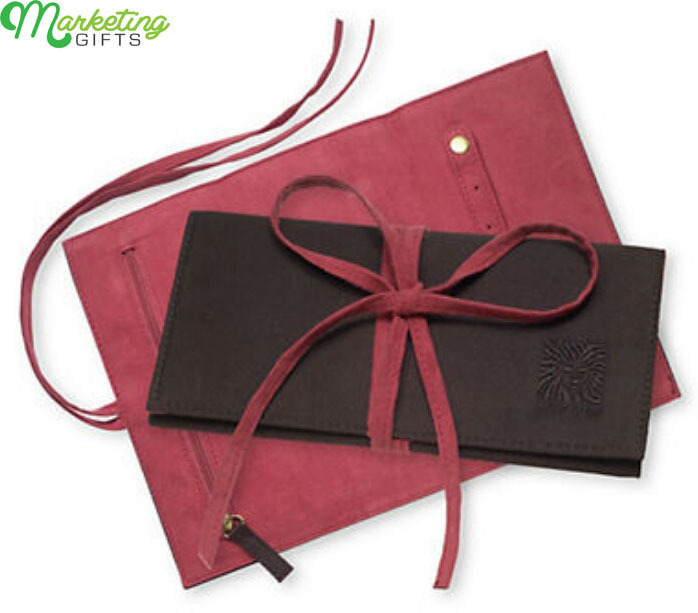 If you wish you can market your brand in a similar fashion, go to the Marketing Gifts blog now to see different promotional ideas.